LEXINGTON, KY—Providing insight into the customs and social dynamics of prehistoric populations, researchers at the University of Kentucky published a study Friday revealing that humans began domesticating wild animals in order to comfort children whose parents had separated. 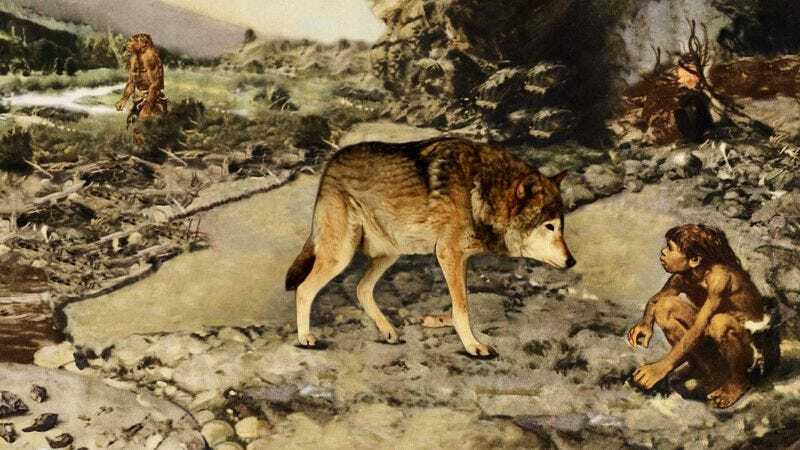 “According to our findings, our ancient ancestors first tamed and bred gray wolves some 30,000 to 40,000 years ago as a means of providing younger members of their hunter-gatherer societies with a loving companion to keep them occupied and feeling less alone as they dealt with the emotional trauma of their mother and father splitting up,” said lead researcher Ellen Wahl, adding that these early humans were likely inclined to select the most docile and obedient wolf cubs to bring back to their encampments in hopes of distracting these children from the painful changes they were experiencing in their day-to-day lives and the worries they felt about whether they were the cause of the breakup. “Canines would have been an ideal species for these Upper Paleolithic children to connect with during such an emotionally sensitive period given the animal’s loyalty and ability to easily travel along with children as they moved back and forth between their parents’ separate shelters.” Wahl cited further evidence indicating that similar factors may have eventually led to the taming of horses by Bronze Age people, as separated parents began attempting to outdo one another to compete for their children’s affection.